There’s a pub near my office named after Edgar Wallace. I’ve always dreamed of going in there and settling into a corner with a pint of house ale and one of his novels. Perhaps that’s something I should put on my bucket list. Edgar Wallace is one of my favourite writers of daft thrillers that entertain despite the plots having more holes and loose ends than a piece of my knitting. This story, featuring his best known detective Mr Reeder, is no exception. It’s completely bonkers and thoroughly enjoyable. It’s very difficult to try and elaborate the plot without giving the entire game away. It’s quite convoluted with some intriguing characters – but for a short story to cover theft, bigamy, murder and insanity in the space of about 25,000 words isn’t bad going. You can see why he was pretty successful. This story reminds me of why I like reading Edgar Wallace so much. He’s very much fun reading after a dreary day. I expect sitting in the corner of a pub with a pint of house ale would enhance the amusement factor of his novels quite a bit. There is some cracking drama coming out of Australia at the moment, which is just as well, because there’s a rule in our house that all Australian television is to be watched, considered and judged accordingly. Some of it is drivel (we’re not soap lovers, by and large, which dealt with Neighbours and Home and Away fairly swiftly) but of late, quite a lot of what we’ve sat through has been pretty darned good. Deep Water is a police procedural set in and around Bondi Beach in Sydney. What starts as a routine murder enquiry rapidly becomes a hunt for a serial killer and a reinvestigation into a series of brutal murders, disappearances and apparent suicides of gay men in the late 1980s and early 1990s. It’s stirring stuff, especially as it is based on the truth – many young gay men in and around the area did disappear under highly suspicious circumstances or investigations into their deaths didn’t get completed. Quite aside from telling a thumping good story, Deep Water questions how things have changed in Australia if you’re a gay man – there is still a culture of machismo amongst many Australian men and I personally think it’s a deeply flawed ideal. By focusing on sports, the outdoor life and physical achievements it is very easy to see how those who don’t fit in – for whatever reason – could find their lives very quickly made hell. The drama is only four parts but they are gripping viewing. It’s so nice to see Craig McLachlan – alternatively known as Dr Blake or Henry from Neighbours, depending on your viewing habits – playing a character who is irredeemably vile. That shattered a few illusions, I can tell you! If there is a fault with this series, it is that it perpetuates the illusion that there are, in fact, only two dozen actors in Australia. A good two thirds of the cast were last seen in Canberra-based political thriller The Code (which also comes highly recommended) and one of the leads, I’m fairly sure, is in the Night Watch on Westeros. Don’t let that put you off, though, because the acting, script and story are excellent and this is a series that deserves to be watched. I hope also that it goes some way into solving the real life cases; there must be many grieving families seeking some form of closure and anything that can help must be a benefit. I’ve not read much Chesterton – only his wonderful spy novel, “The Man Who Was Thursday” – so this was quite a treat for me. It’s a delightful little story but I’m not sure it plays entirely fair with the reader. Horne Fisher, The Man Who Knew Too Much, is the detective here and I think it’s quite fair to say that he knows quite a lot more than the reader. He is summoned to attend the Prime Minister (an old friend of his) at a country house fishing trip on the eve of a crucial speech in Birmingham. The PM is due to leave that night for the lengthy drive and needs to speak to Fisher before he does. Also in attendance on the fishing trip are the Duke of Westmoreland, a fashionable dandy who has aged rather well; the Attorney General, who has worked his way up the legal ladder from scratch; and the PM’s aide, whose father it transpires is the host. Mein Host is not, however, without his own eccentricity – the main one being that he fishes, all day every day, from sunrise to sunset. He dislikes being interrupted for anything other than the utmost matters of urgency and apparently has a ferocious temper to unleash against the unsuspecting. So it’s not really much surprise that, the day after Fisher’s arrival, the man is found dead in his fishing seat, garrotted by his own fishing line. Now, here is my gripe. Fisher clearly knows more than the reader because he is aware that the deceased has been blackmailing pretty much everybody at that holiday retreat – probably including himself – and consequently they all have a motive to have killed him. Quite a few also have means and opportunity. I’m not actually going to give the end away because the twist is really quite delicious, but I’ve now read through the story twice and I cannot find a hint of this anywhere until Fisher mentions it. I can only assume that Fisher was himself being blackmailed and simply assumed everyone else was as well. This gripe aside, it’s a wonderful little story and I really liked it. My copy was from the British Library’s Crime Classics collection “Serpents in Eden” – which itself is an absolute gem. The office Book Club has required me to read Julia Lovell’s book The Opium War, about what can only be described as one of Britain’s more disgraceful episodes. I’m only a couple of chapters in, so I won’t be going into detail, but it must be said that fighting a war in order to protect the trade in narcotics has to be morally dubious, no matter how you look at it. That said, there are some interesting snippets already coming out – mainly from what I’m learning about the Chinese. I’d forgotten, of course, that the Chinese aren’t just one nationality (although post-Communism, they may argue to the contrary); the majority of Chinese are Han, but pre-Revolution, the ruling minority were Manchu Chinese from the north, who manipulated a whopping double-standard to ensure that the civil service exams would be passed by Manchu candidates over Han candidates. There is a report in the book of two centenarian Han candidates who repeatedly failed the exams, only to be given the degrees out of sympathy – not that they would be of any use at that age! You would think, wouldn’t you, that this barely hidden discrimination would be the cause of significant political ferment – yet repeatedly, the Chinese Imperial government blamed opium and repeatedly took steps to stamp out the illicit trade in the drug, which was being actively encouraged and supported by the British, who were shipping opium in from Raj-controlled Bengal. Why? Because there was money in it. So much, in fact, that the Chinese Treasury reached a point where so much silver was leaving the country, they couldn’t pay their military, who – unsurprisingly – started to wonder why they were working when they weren’t being paid. Well, you would, wouldn’t you? I couldn’t help but be reminded of the political rhetoric modern governments still use when referring to the “war on drugs”. It’s almost as if nobody has learned anything*. Although I could never condone drug use I do find myself wondering if it is not being used as a means to hide wider political issues and spend money on a problem that cannot be solved overnight with simplistic means. It’s exactly the tactics the Qing Emperor used in the 1840s and by the Blair Government of the 1990s. Let’s have a war on opium to hide the fact that, actually, the civil service is horribly corrupt but since they make the laws, that’s not going to change. This is a thoroughly enlightening book. You won’t learn anything about drugs, but you will learn an awful lot about politics. * I’ll gloss over the glaring hypocrisy of the British in this case, for obvious reasons. I have a confession to make. I’ve read quite a few of Freeman’s Dr Thorndyke stories and I’ve yet to find one that I didn’t like. I would probably go so far as to say that I prefer them to Holmes, although they share certain similarities, are strictly logical and all the clues are plausibly explained. I absolutely love them. Thorndyke is a barrister at 5 King’s Bench Walk who practices medical jurisprudence, making him something of an English cross between Quincey MD and Perry Mason. He has a science lab in his chambers and is widely considered the paramount authority on his subject. Many of the stories, including this one, are set in the legal quarter of London, which is where I work – cue another unladylike squawk when Thorndyke & Company stride past the building where my office now is. Clearly, I need to get out more. The plot to this story sounds horrifically complex but is, in fact, actually quite simple. A woman is robbed of an apparently priceless string of Imperial Russian pearls; the thief is apprehended and imprisoned, but dies in prison. The governor sends the woman a gift of a casket the prisoner made before he died; unglamorous, base metal with an etched brass bottom. Since then, she is stalked and occasionally attacked by Japanese criminals. It takes Thorndyke no time at all to establish that the casket holds the clue to the location of the missing pearls, and retrieves them at the end with a theatrical flourish. Every clue is explained, every deduction is logically accounted for and the whole thing feels entirely believable. Given how popular the Holmes stories are, I’m amazed these aren’t better known. They are brilliantly written, great fun to read and deeply satisfying. I feel obliged to recommend them in the strongest possible terms. We had one of these when I was little. It was about six inches tall and made from brass and my job was to assemble it so that the candles could be lit (by a grown-up) so that the fan would spin round. I would sit and watch it for ages. There was something captivating about the tinkling as the heat from the candles would make the cherubs move. I’ve no idea if they still make these, but if they do, I want one. What is odd is that much as I love this decoration, as a general rule I dislike Christmas. I send and receive gifts (cards are often dispensed with on environmental grounds) but that’s it. I don’t have a tree and I don’t decorate the house. I certainly don’t do a Christmas dinner. But this little ornament has brought back so many memories of sitting in candlelight watching it go round while my gran spent an age in the kitchen sorting out what was for dinner – almost certainly turkey with trimmings, they were traditionalists like that. I also remember that on Christmas morning, while the dinner was cooking, gran would treat herself to a gin and orange, and there would be white wine for the grown-ups at dinner. I even remember what the wine was called – Corrida. Bet you can’t get that nowadays either! This is definitely a monument to a happier time. Is there an ornament that brings back Christmas memories for you? I read this story about two weeks before writing this post, and I’m still not sure whether or not I liked it. It’s one of those stories that would read well aloud, but the plotting is daft, the title is faintly racist (and reminded me of Sanjeev Bhaskar’s BBC series, The Indian Doctor, a little too much) and I thought the story had holes in it I could drive a tank through. Yes, it’s a product of its time – like Tintin, it views certain nations a certain way. The doctor of the title is, in fact, Argentinian, but owing to his dark hair and eyes and generally swarthy appearance, the locals call him “the black doctor”. Presumably to differentiate him from “the white doctor” who probably had whiskers, drank port wine and couldn’t tell the difference between gout and a goitre. Unfortunately, Dr Lana has a twin brother who is everything he is not – criminal, violent, dissolute and fortunately for all concerned, exceedingly unhealthy. When he literally drops dead in the doctor’s study after threatening him for money, Dr Lana decides to use his twin brother’s untimely demise to do a Reggie Perrin and fake his own death. All of this would have been fine, if it hadn’t been for the fact that the brother of the young woman Dr Lana had recently been betrothed to is arrested for the doctor’s murder and is almost certain to hang, as he has no alibi. Dr Lana is forced to reveal his plan at the trial, thereby saving the day, but probably not his reputation. It’s bonkers. We not only have a case of mistaken identity, but a case of mistaken diagnosis – clearly there hadn’t been a post mortem as the deceased’s poor health would have been revealed and no question of murder would have arisen. But that doesn’t make a good story, does it? Believe me, this is not a good story, although it’s fun and interesting to read. I just wish Holmes would have wandered along at some point and tidied the mess up. El Greco has a recognisable style about him – dark, bold skies and very stylised outlines. This is one of my favourite paintings of his, and features the town where he was living; Toledo in central Spain. 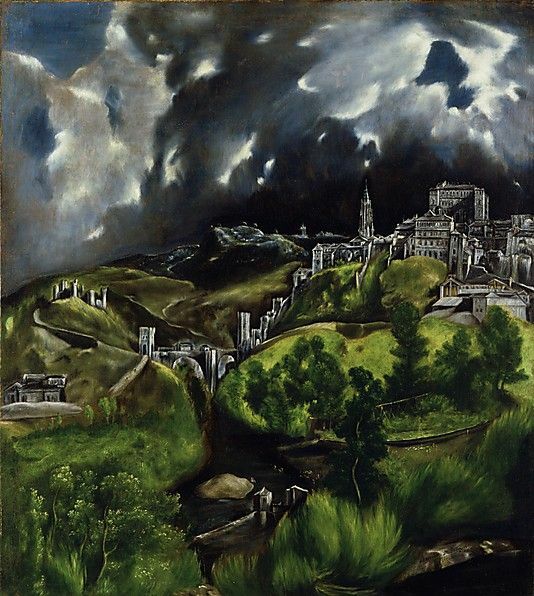 In fact, El Greco painted a number of pictures of Toledo, but this is the one that is best known, presumably for its powerful dramatic skies. 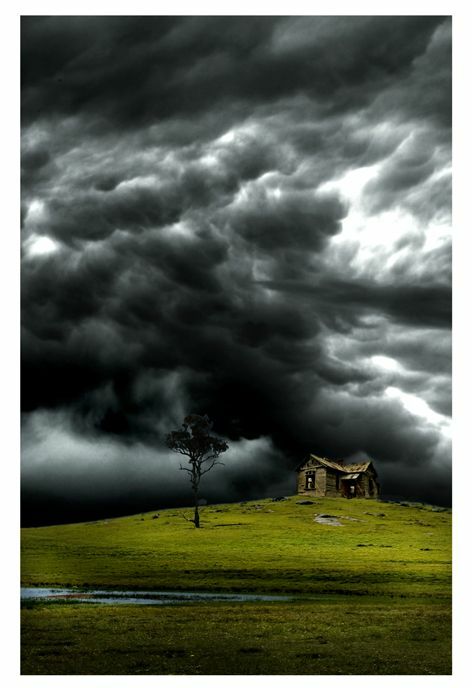 Clearly, El Greco painted this just before the heavens must have opened! It certainly adds to the drama of the picture and highlights the brighter colours of the walls and roofs of the buildings. It may also just be me but this seems to foreshadow some of the landscapes painted by Cezanne and Gaugin some two hundred years later. Who said that history doesn’t repeat itself? Now it has to be said straight away that compared to Lady Sannox, this isn’t brilliant at all; there’s little real sense of mystery and, if I’m honest, it’s not aged particularly well. I also thought the ending was a bit woolly and unsatisfactory, but I suppose that’s what you get after such a mystery masterclass. All of that being said, there is still a bit to delight a reader, especially this one, who squeaked in delight about the fact that the bulk of the story is set on that part of the District Line on which I regularly commute! The plot revolves around the hunt for a serial killer on the Underground, and the majority of the murders are committed around 9.15pm on Tuesday nights between Mansion House and Sloane Square. It’s a stretch of the Underground I know well, although I try to be home and dry by that time. All the victims are shot through an open carriage window and such witnesses as there are all claim to have neither heard nor seen anything. It’s the details like the opening windows and the fact that the carriages have classes that really date the story, which is a dreadful shame, because it could work well on a modern setting, I’m sure. The story is also written in faux reportage style, and I can quite well imagine contemporary readers actually forgetting that this is a work of fiction. In fact, at the time it caused such a fuss that passenger numbers plummeted and London Underground bosses lodged a formal complaint with the publishers. Perhaps that’s why the ending is so weak – and moved to the sea. It is quite a fun little story and I did enjoy it – particularly the bit when they found a victim at my station – but it’s not the best I’ve read and I can’t really recommend people digging it out especially. I wasn’t going to do this today. I’ve had the flu and basically my brain is elsewhere at the moment, thanks to a variety of cold and flu remedies and basically just feeling foul. But I was having a conversation with some friends about film sequels and it occurred to me that quite a few second films were actually really very good. The obvious one, of course, is The Empire Strikes Back, which I still think is the best of ALL the Star Wars movies (and I don’t care who hates me for saying that). Aliens isn’t bad either (although I still have a soft spot for Alien Resurrection – mainly because I can’t remember it very well). That said, the best film sequel ever made predates both by some decades – and I still think is wonderful. Hopefully this will give the game away. The Universal monster movies of the 1930s were genre-creating but also mould breaking and because they are now so well known, it’s very easy to forget just how revolutionary they were. Moreover, it’s also very easy to forget that both Frankenstein films had very good plots – I’ve never forgotten the look of sheer horror on the Bride’s face when she sees Karloff for the first time. They are classics, not because of their age or the role in creating icons, but because they are really good films. To modern audiences, they’re not remotely scary any more and that’s fine. They don’t have to be. 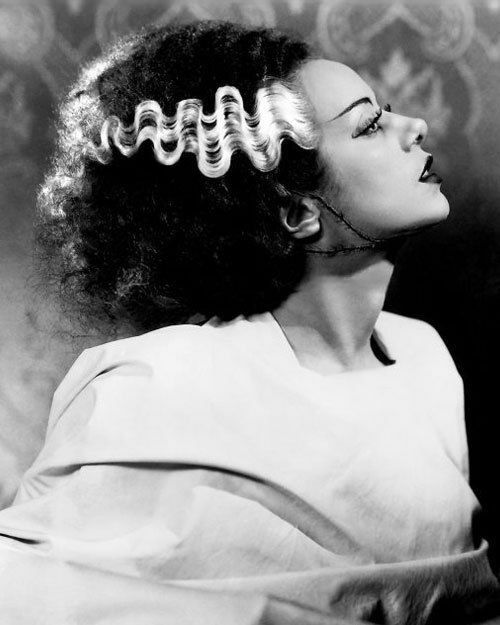 As far as I’m concerned, The Bride of Frankenstein sets the standard for sequels that, although other movies come close, hasn’t yet been broken. And I don’t care who hates me for saying that either.